This year in our homeschool we are using Grapevine Bible Studies to help my son develop a daily habit of being in the Bible. Our first experience with Grapevine Bible Studies was last year when I purchased the New Testament Overview Part 1 Level 3. We loved it! We are getting ready to begin a study with Old Testament Overview Part 2 Level 4 which covers Joseph to the Promised Land. Stay tuned for that review! My friends at Grapevine Bible Studies have created these kid-friendly Bible study resources to help kids learn the process of Bible study so that they can grow in their confidence as they develop the skills needed for studying God's Word on their own. 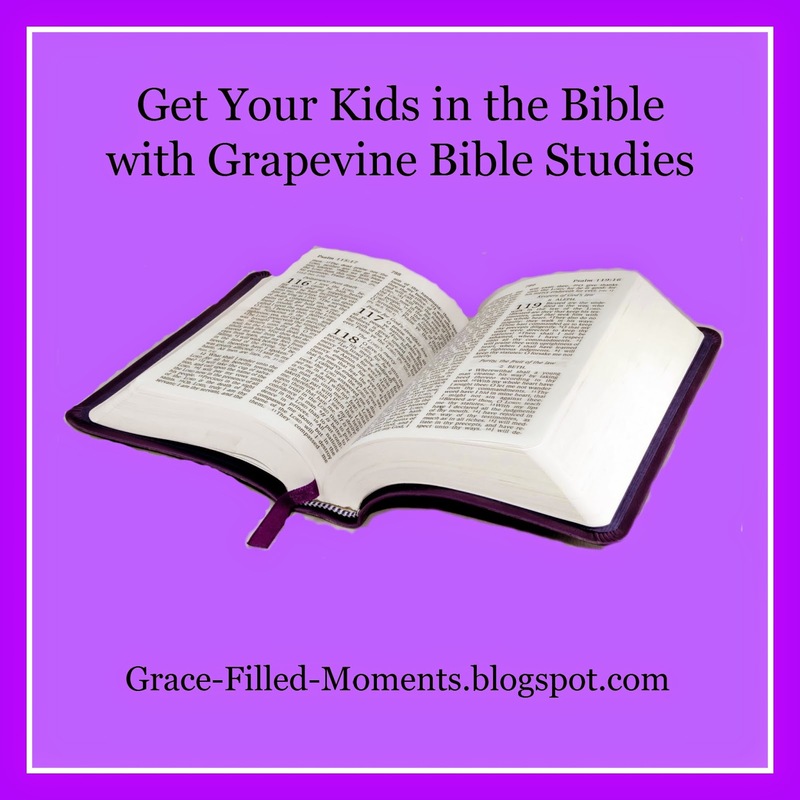 The Grapevine Bible Study method is so easy! Stick figures, timelines, words, symbols, and colors are all used to study the Bible. Teaching direction is provided for each level as well as your choice of a daily schedule or a weekly schedule to go by. You can choose to purchase a Grapevine Bible Study in 3-hole punched books or in PDF formatted ebooks. Check out their free sample lessons to download and try before you buy! I think you and your kids will enjoy Grapevine Bible Studies as much as my son and I have. There is no greater habit we can teach our kids other than being in God's Word every day! Let Grapevine Bible Studies help you do that with your kids!